I’ve been wanting to try to make ‘noodles’ out of vegetables for a while now since I brought the Deliciously Ella book. 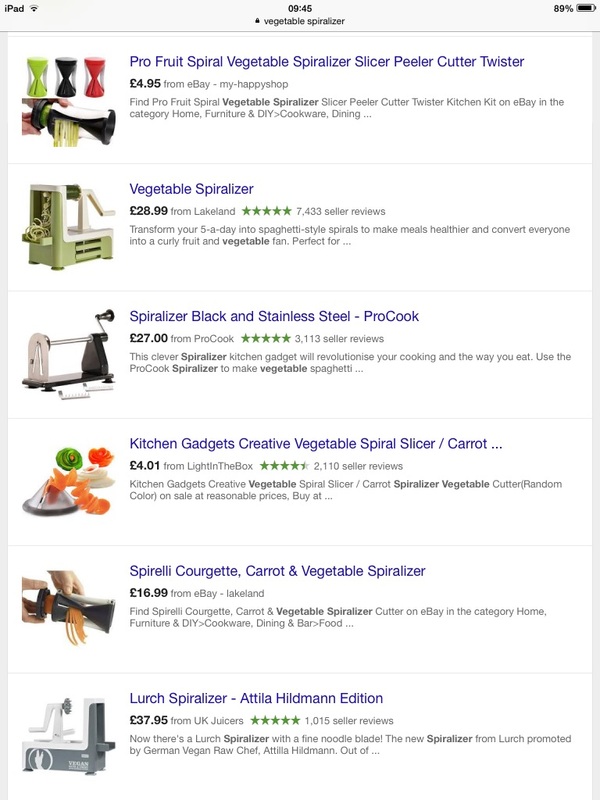 After doing a quick internet search of kitchen spiralizers I realised that like most products for the kitchen, they vary wildly in price and features. From under £5 to over £30, hand held to bench fixed, a standard blade to interchangeable ones! I don’t have a lot of kitchen worktop space so I would prefer one which is compact and easy to store. My brother is a personal trainer and brought one recently so I’ve borrowed it to have a play with in the kitchen. 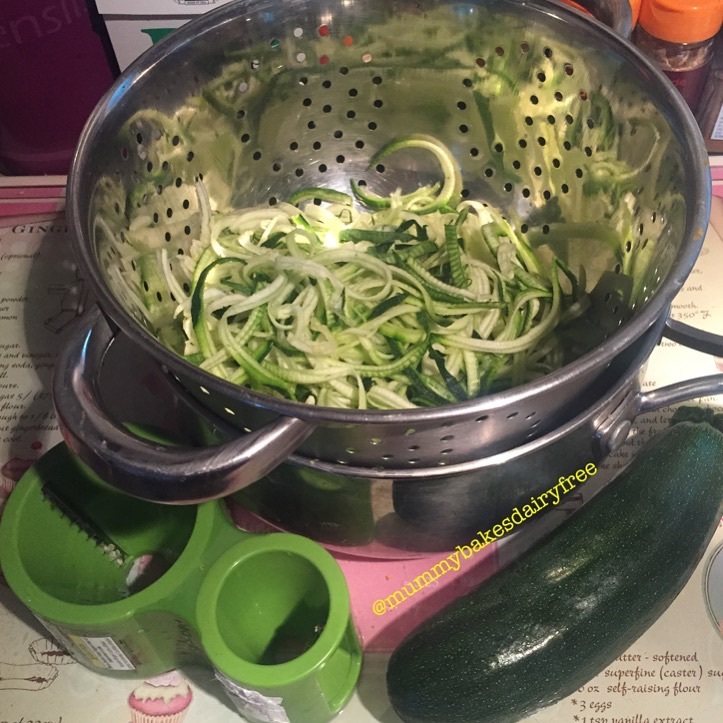 We really love courgettes in our home so they were the obvious vegetable of choice to spiralize first! I found the microplane spiral cutter fairly easy to use and it created fairly even ribbons or noodles of veg. For the price (under £10) it did the job quite well. It has two sections for different sized vegetables which is a plus. I did have some issues though. Waste. I know many other spiralizers waste the core of the vegetable as well, however I found that I had a good chunk of the courgette left at the end as I couldn’t safely continue spiralising. It also is quite fiddly to clean the blade afterwards without ruining your washing up cloth or fingers! I used one courgette for each serving and as there is only two and a half of us, it wasn’t too much effort. I can imagine for a larger quantity it may get a bit monotonous, but for a budget spiralizer it did the job. 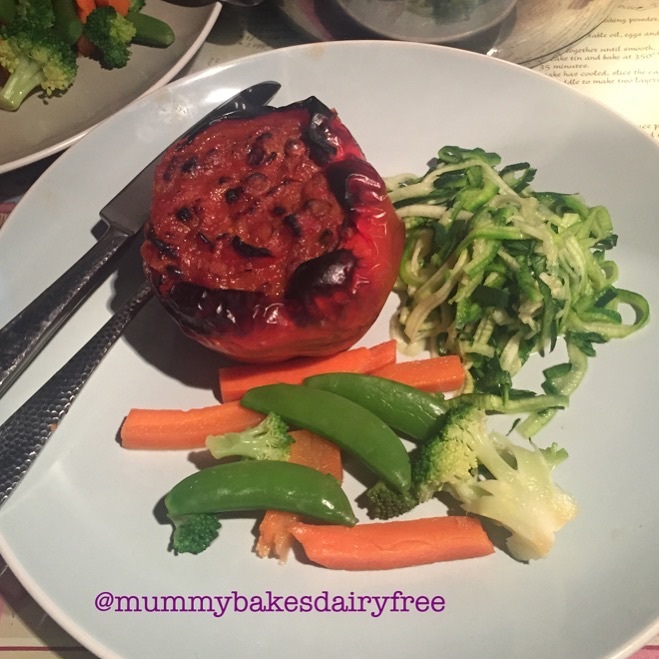 I served my courgette noodles with a pepper stuffed with lentil bolognese. The courgette noodles were a lovely light addition and stopped the meal from being a heavy, starchy dish. You could serve them with fresh herbs or spices for a twist. Check out my tomato sauce on an earlier post which would work really well! 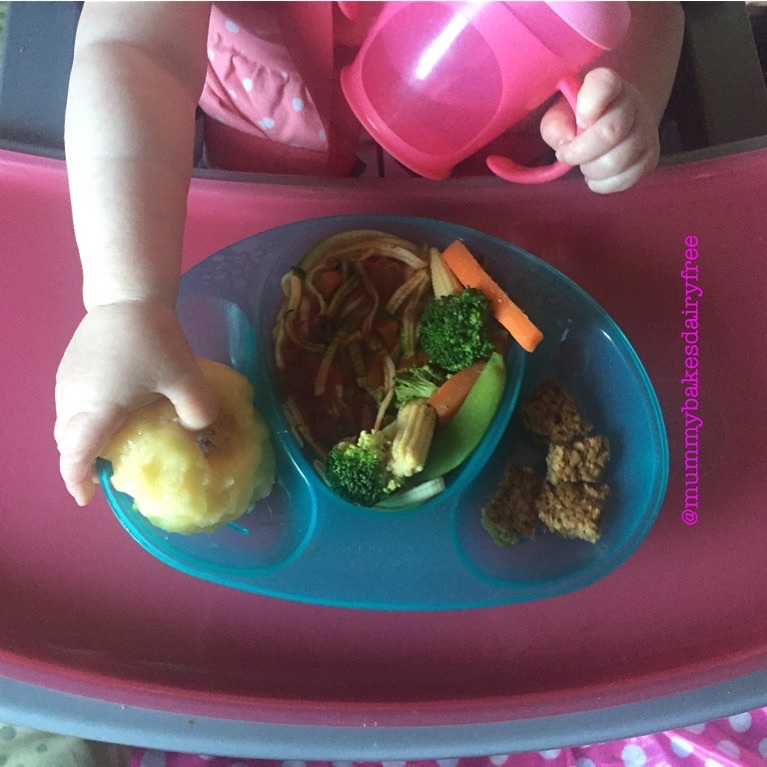 They are great for baby led weaning as well, as it helps little one to practice picking up different shapes and textures. I have found vegetable noodles also are a good way for encouraging children to eat vegetables. 1. Wash the courgette and cut off the stalk. 2. Spiralize the courgette following the instructions of your particular spiralizer. 3. Courgette noodles are delicious served raw as they are yummy crunchy and maintain the vitamins of raw courgettes. Boil: boil for a couple of minutes if you would like your noodles softer. Drain as you would pasta. Stir fry: stir fry your noodles in a little oil and a hot wok. Serve with your stir fried accompaniments and sauce of choice. Sauce: I stirred a hot tomato sauce through a serving of the noodles for my little one just to warm them slightly, whilst maintaining the health benefits of raw veg. Previous Post Sweet Potato Pancakes and A New Business Venture! Hi! I’ve been looking at a couple of recipes for things that suggest a spiraliser. Would you say it was worth buying one or should I just do thin strips like you have for your crisps? 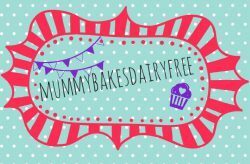 Hey eastsussexmummy! After I returned it to my brother I haven’t bought one yet. 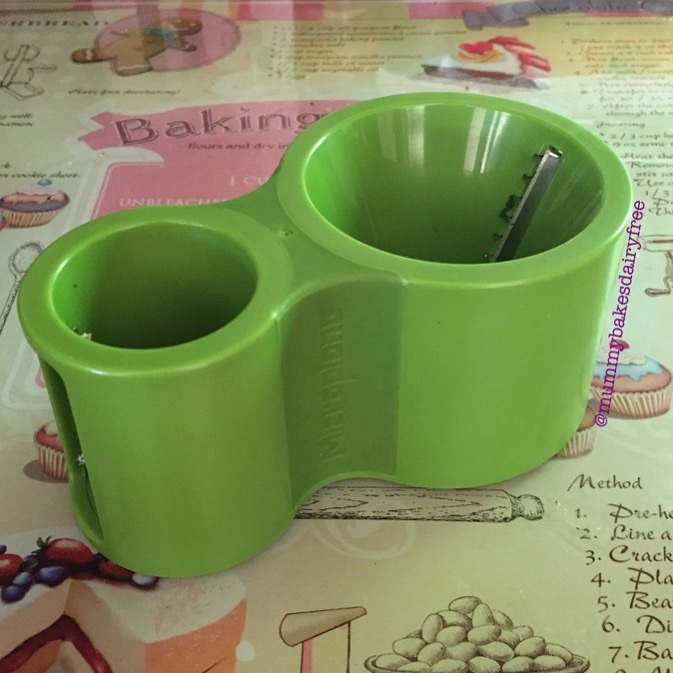 It’s on my list of kitchen purchases! In the meantime I’m making them in thin strips like you suggested.